Welcome future bitcoin millionaire, get ready to embark on an amazing crypto adventure with Crypto Idle Miner! Do you dream of becoming next Ethereum and Bitcoin tycoon? Do you want to learn more about blockchain and cryptocurrency in general? Then this is the game for you! 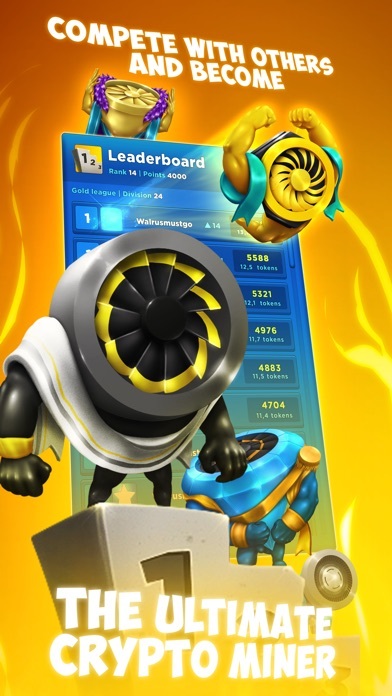 Crypto Idle Miner will guide you through hectic world of crypto mining, crypto trading and everything in between. Build your crypto making company and watch your income grow each minute. With couple of good investments, you might become millionaire overnight… or even a billionaire! 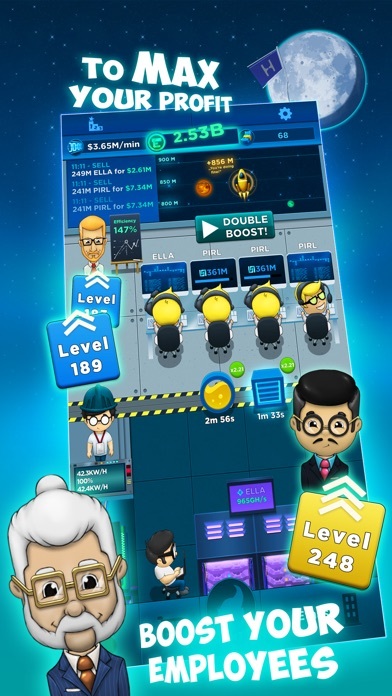 This is not an ordinary bitcoin mining game or some tapping game like any other. Simulation is real! You will know the struggle of a true bitcoin tycoon! 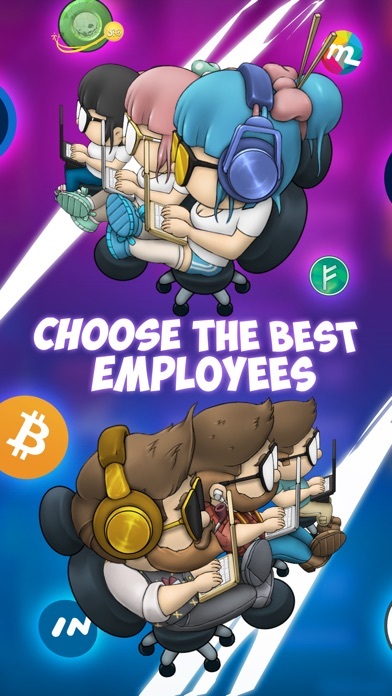 Build your company, buy amazing infrastructure and powerful mining rigs and hire the right employees that will launch your profit to the Moon! 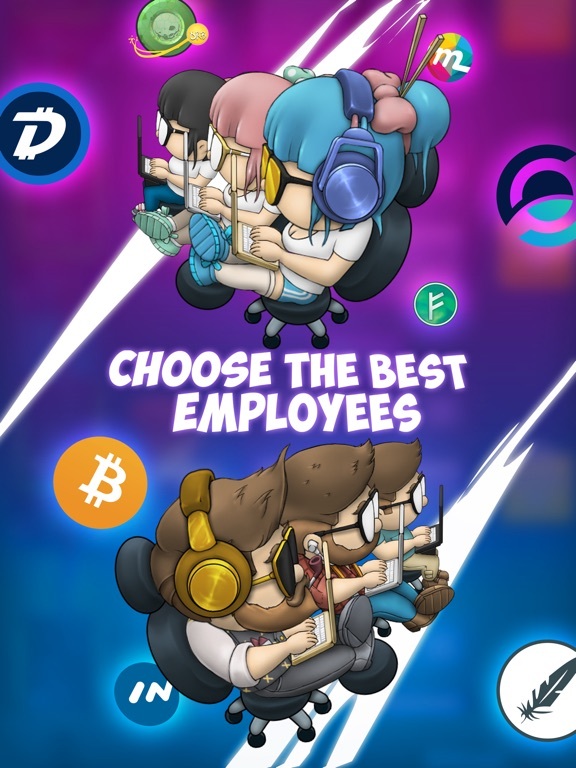 With couple of right moves, your managers will take over the dirty work for you, and you will enjoy in idle mining and constant money income. But that’s not all, speculate and trade to max your profit, can you predict which crypocurrency will become next rising star? 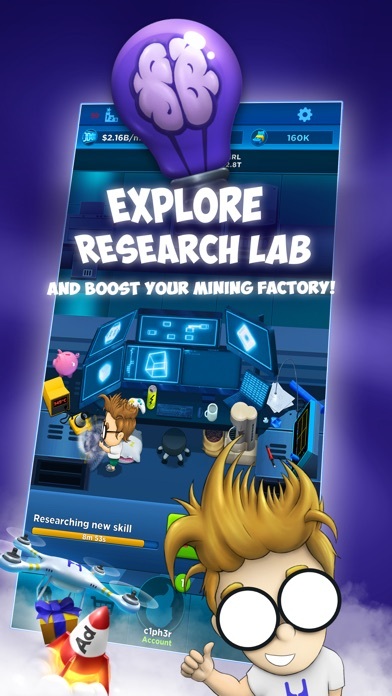 So, wait no more and begin your own Crypto Idle Miner mania! 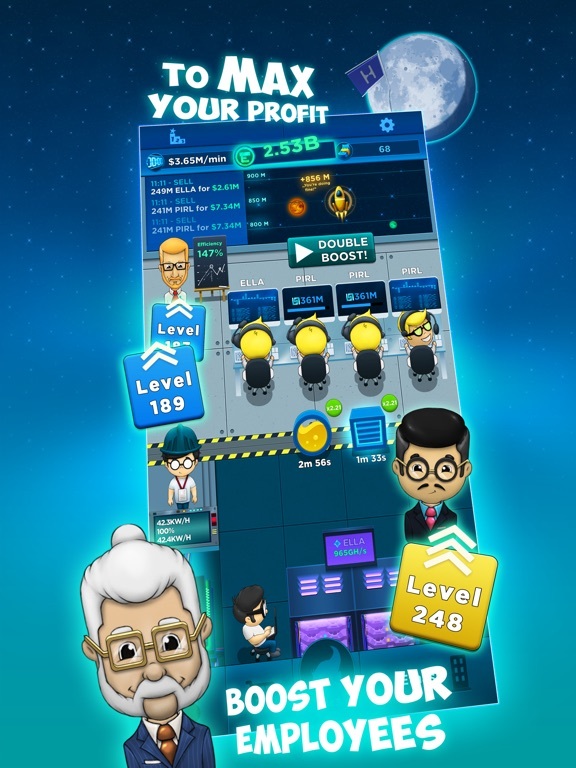 Do you have what it takes to become next bitcoin tycoon? • Build and upgrade your mining rigs, traders and infrastructure to max your profit! Gold Membership offers a weekly subscription, you will have a 3-days free trial period. After the 3 days free trial period, this subscription automatically renews for $4.99 per week. 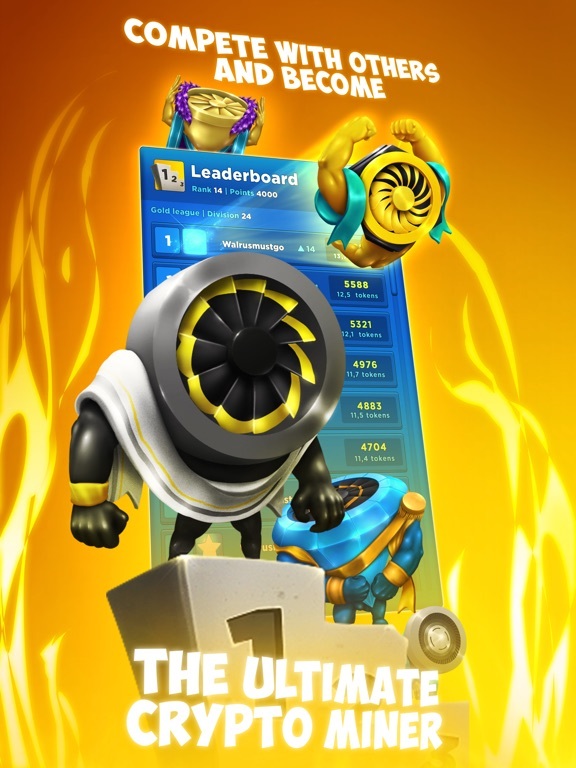 During this subscription, you will unlock the following features: always active ”Double Boost” in all buildings, 30 of supercash daily, plants and pets boosters, 50% of Idle cash boost. 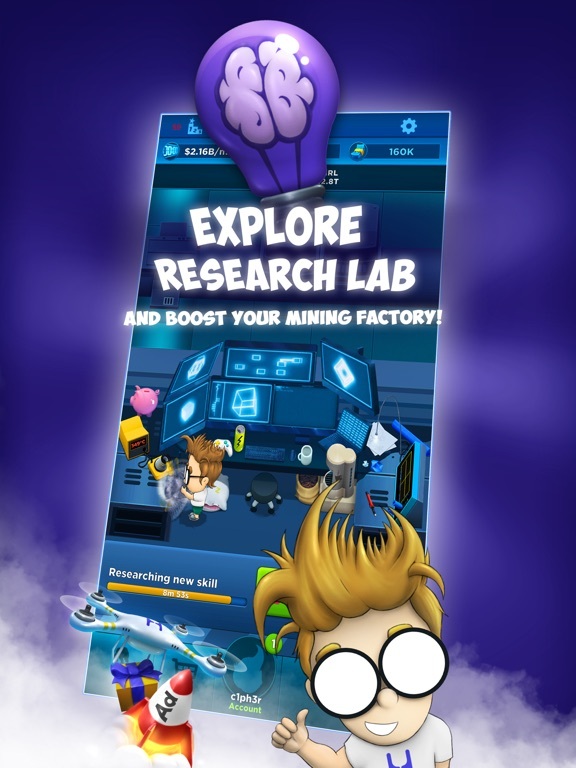 ***Disclaimer: This is not a mining app! Players will not earn any cryptocurrencies within the game, or will they be payed out. Crypto currencies in the game are virtual, and all of transaction within the game have nothing to do with real mining, trading or investing. This is a simulation game made for your fun and enjoyment.